It's no secret that the holidays are a time for indulgence. Nearly four out of five Americans (79 percent) say dessert is one of their favorite parts of holiday dinners and celebrations, and 94 percent like pie, according to an Edwards(R) desserts survey conducted online by Harris Poll among more than 2,000 U.S. adults. "Food is an integral part of the holidays," says Chef Christina Kaelberer, an internationally trained pastry expert. "A rich dessert makes any event feel special, but you don't have to worry about mastering a complex recipe in order to impress guests. Classic flavors presented in fun, new ways are sure to make everyone's holiday merry and bright." If you're looking to up your dessert game this holiday season, but don't want to spend hours searching for specialized ingredients, meet homemade halfway by giving one of these pie-inspired dessert ideas a whirl. Sixty-six percent of Americans believe finding time to prepare desserts for holiday celebrations can be challenging. If you agree, this indulgent dessert is for you. 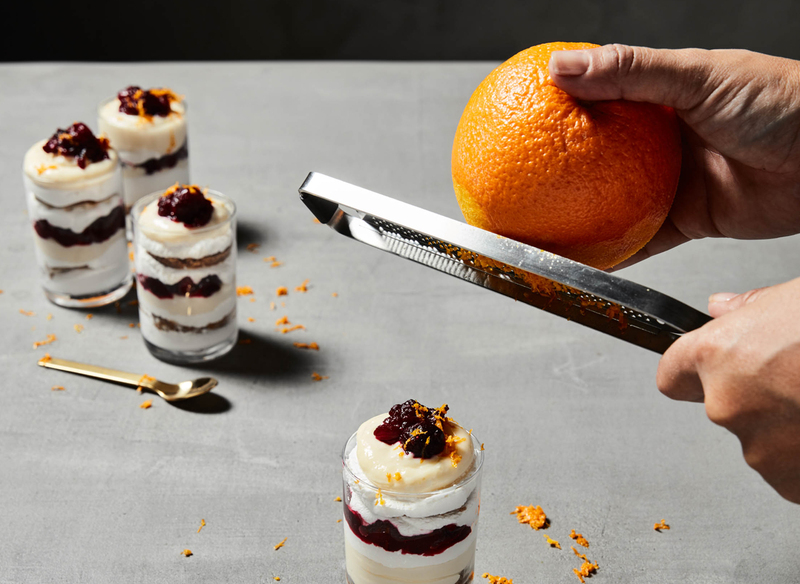 Own the occasion with parfait perfection using frozen cranberries, whipped cream and — the secret ingredient — Edwards Key Lime Pie. It's simple to make, but layer after layer of incredible flavor will have guests thinking you spent all day in the kitchen. Over-the-top milkshakes are all the rage these days. 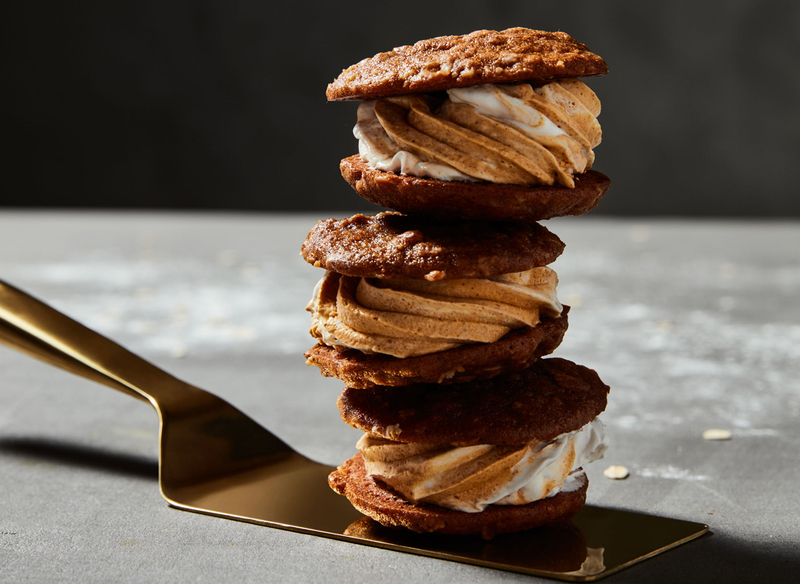 Nearly four out of five Americans (79 percent) want to try a new dessert trend, perhaps to give their taste buds a surprise. 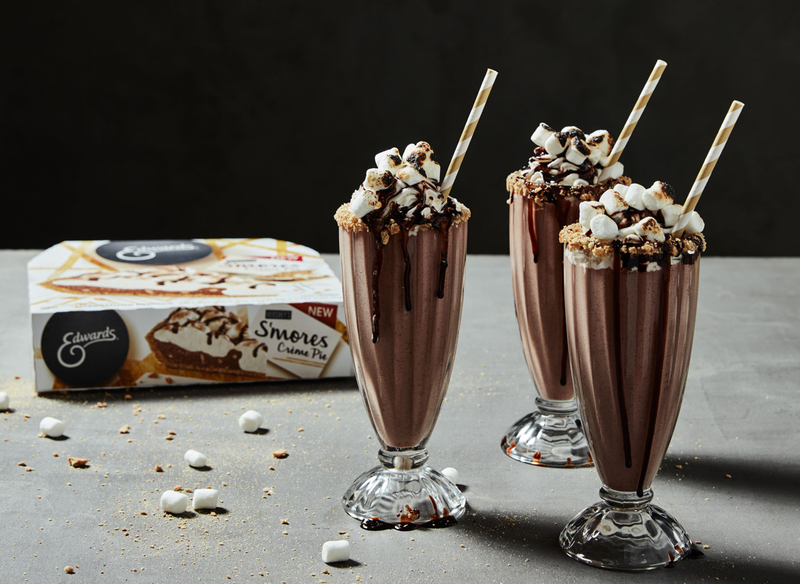 Adult holiday revelers will delight in this tasty concoction using rich ingredients like whipped cream vodka, vanilla bean ice cream and Edwards S'mores Crème Pie. It's the perfect way to cozy up and enjoy the holidays with friends (two straws for sharing optional). Oh! My! Gourd! Pumpkin is a true holiday classic, but if you want to think outside the pie tin, try these amazing bites of heaven. This tasty twist on the classic flavor is guaranteed to impress both young and old. You'll start by baking some sensational oatmeal molasses cookies. Then the magic happens when you pipe in filling from an Edwards Pumpkin Crème Pie to create an indulgent sandwich that no one can resist. 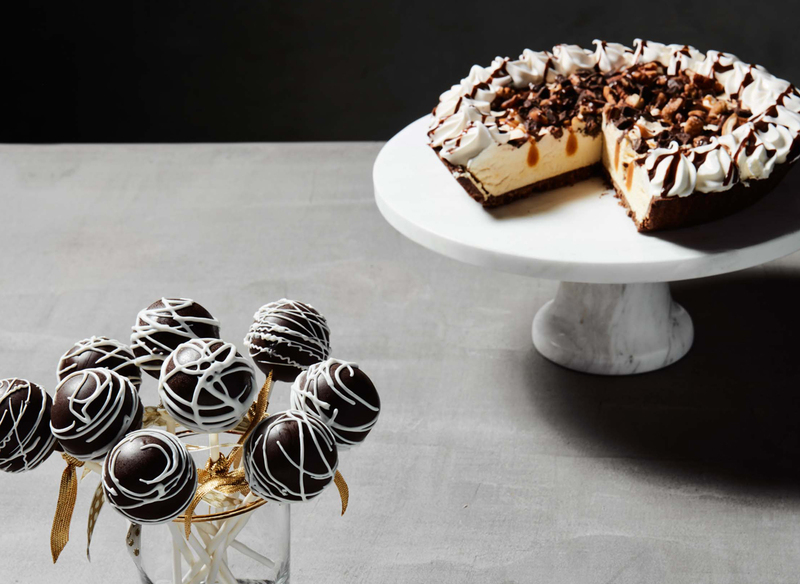 Forget cake pops; pie pops are the next big thing! With decadent layers of creamy goodness, you can make over your holiday table with this made-over classic. Simply pipe the filling from an Edwards Turtle Crème Pie into a silicone cake pop mold, add lollipop sticks and freeze. Finish by dipping frozen pie pops into melted chocolate. Insider tip: display cake pops in a vase for a beautiful-looking bouquet. Want more holiday dessert inspiration? Visit the Edwards desserts website. Survey Methodology: This survey was conducted online within the U.S. by Harris Poll on behalf of Edwards Desserts from Nov. 8-10, 2017, among 2,089 U.S. adults ages 18 and older. This online survey is not based on a probability sample, and therefore no estimate of theoretical sampling error can be calculated. For complete survey methodology, including weighting variables, please contact edwards@clynch.com.